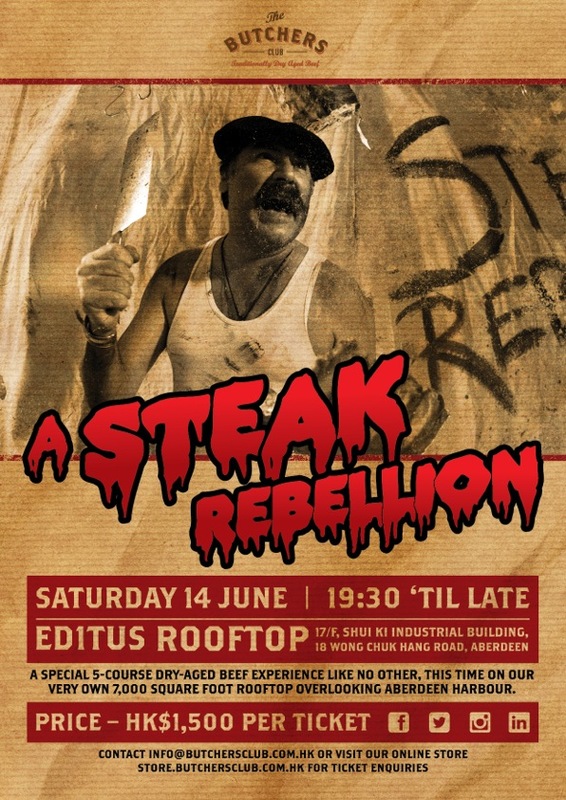 After two very successful meat-fuelled events last year, The Butchers Club is preparing its award-winning dry-aged steak for yet another A Steak Rebellion, to be held on the rooftop of the brand’s newest outlet on Saturday 14th June. The Butchers Club Deli, which opened last month within the stunning men’s lifestyle and fashion showroom ED1TUS in Wong Chuk Hang, is lucky enough to have its very own 7,000 square foot rooftop with incredible views over Aberdeen harbour – the perfect space for the third round of this fantastic event. Under a unique marquee by Event Canopies Asia, The Butchers Club team will set up its 18th Century-style chophouse, complete with butchered pigs heads, fortune tellers, butchers with attitude, and much, much more. 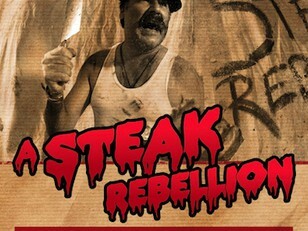 A Steak Rebellion is priced at $1500 per person for a 5-course menu, which includes, amongst other things, freshly shucked oysters, handcrafted charcuterie and of course The Butchers Club’s award-winning dry-aged rib-eye steaks, served with salad and duck-fat fries. Each diner will also enjoy a complimentary bottle of excellent red wine.